Benefit Cosmetics launched the They’re Real Tinted Primer last last February 11, 2016. It was my first time to attend a Benefit event and it was a pleasure to meet all the fab and lovely benebabes! During the event, I was able to wear the tinted primer on its own. It separated my lashes and also gave them a light and feathery definition – very nice for everyday wear. The primer has a brown tint with a nice bendable brush wand applicator as well. Miakka told me that they are launching a lot of exciting products this year!! Wee!! Kriska and I with the beneboys! After trying the product and chatting amongst other make-up enthusiasts, benefit treated us to a private screening of How to be Single, which surely left us all smiling! Catching up with pretty Cerah before the movie started! 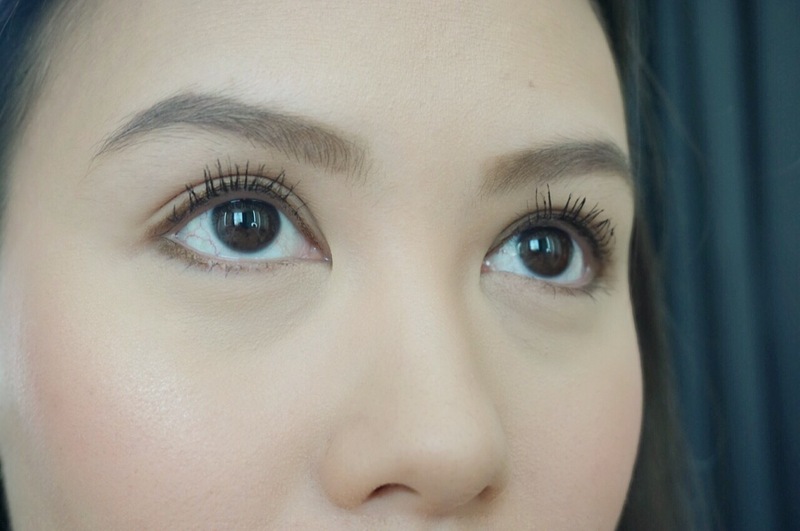 I tried on the tinted primer a few days after the event and I like the effect that it gave my lashes. My lashes looked neater, and also more fixed, separated, and defined. It’s like wearing a very light and natural falsie, but oops, they’re real! haha! Just exactly what the label implies! My eyes are more defined because the roots of my lashes darkened. It’s soft enough to layer with another mascara, because it has provitamin B5 which softens the lashes. I gave my lashes a very good curl. I applied the Benefit Tinted Primer. Remember to wiggle the mascara at the base of the lashes to get into the roots! Apply also on your lower lashes to make them look thicker. I curled my eyelashes again so that my lashes will stay up. Be careful though, other people don’t advise curling their lashes after applying mascara because they say that their lashes get pulled out when the lashes slightly stick to the lash curler. In my personal experience, I have been doing that ever since and my lashes are fine. Do what works for you.